With the release of The Division 2, Ubisoft is officially jumping ship. After having a relatively cozy relationship with Valve’s industry standard, Steam, the French company is now moving to Epic’s newly-launched storefront. It begs the question: why would it bring its new release to the Epic Store, rather than sell it exclusively on its own launcher, as others have done before? If you’ve heard of the Epic Store, you likely know its major selling point: that it offers an 88/12 percent revenue split in favor of the game publisher, a much more advantageous split than Steam‘s 70/30. After launching late last year, the store mostly poached indie games from Steam, such as Subnautica. 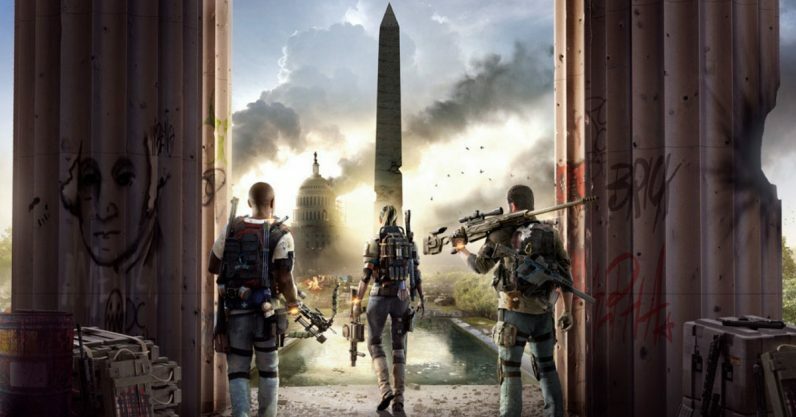 The Division 2 would be the first AAA title to make the switch. The exodus from Steam, however, has been going on since long before the Epic Store was launched. Last year, two major game publishers announced they wouldn’t be bringing their games to Steam. Call of Duty publisher Activision launched Black Ops 4 on Battle.net, and Bethesda launched Fallout 76 on its own platform. Consumer reaction has been decidedly mixed, as many gamers are displeased with having to open yet another store in order to access their titles. But from a business standpoint, it makes sense as publishers grow more willing to take the risk of lower visibility in exchange for keeping more of the profits. That makes Ubisoft‘s move to the Epic Store a bit confusing, because the company already has its own launcher called Uplay. And it’s not as though Ubisoft hides Uplay: it automatically launches every time you run a Ubisoft game on Steam. We’ve contacted Ubisoft to find out if that’ll also be the case for The Division 2. The game will also be available from the Uplay store. So why is Ubisoft not going all in on its own platform? It’s possible it wants to avoid being another Fallout 76. One of the downsides of Bethesda’s launch was a plethora of problems with the platform. From gamers not being able to return the game to the beta either disappearing or refusing to be deleted, it quickly became clear that the Bethesda launcher was creaking under the weight of the sudden influx of users. It kind of proved a point that not all digital stores or platforms are created equal in terms of what they offer the gamer. So Ubisoft‘s decision is more of a halfway move. It’s not entirely forgoing the visibility and accessibility of a digital storefront, while it’s also avoiding the problems that come with having to manage your own launch platform in addition to problems with the game. It remains to be seen if gamers will actually follow the company in the move. The Division 2 launches on March 15. This article previously and erroneously stated Ubisoft was a Canadian company, when in fact, it’s French. It has been updated accordingly.